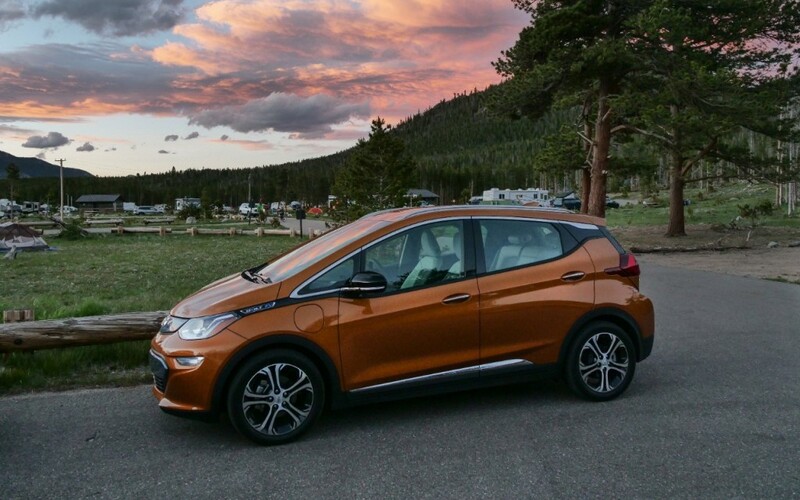 Chevrolet came out swinging when it made the first customer deliveries of the Bolt EV in December 2016. The brand revealed it would top previous range estimates when EPA estimates revealed a 238-mile range. The Bolt EV remains hard to beat compared to other electric cars at the sub-$30,000 price point after a federal tax credit. Nothing lasts forever, though. The EPA officially revealed its estimates for the Tesla Model 3 Long Range variant and it manages an estimated 310-mile range. It’s hardly a surprise knowing the car’s battery pack is larger than the Bolt EV—75 kilowatt hours compared to 60 kilowatt hours. The much greater range also comes at a price. The Model 3 Long Range variant starts at $44,000 before federal tax credits. Meanwhile, the most expensive Bolt EV rings in at about $41,000 before tax credits. That’s a big difference considering a better-optioned Tesla will tack on thousands of dollars for more technology and niceties like AutoPilot. The Bolt EV’s ace is also the fact that the 238-mile range estimate isn’t an option, but rather, it’s standard on the least expensive car, which is under $30,000 after tax credits. The Standard Range Model 3—not yet in production—will boast an unverified 220-mile range, though it will cost about $2,000 less than a Bolt EV. And things won’t stay the same for very long. General Motors plans for 20 new electric cars by 2023 and two of them are coming in the next 18 months. Meanwhile, Tesla works to push the Model 3 into mass production as quickly as possible. That was totally expected. Tesla’s standard Model 3 has a 50 kW battery and 220 mile EPA range. Increasing that to 75 kW is a 50% increase, so with the increased weight of the higher capacity battery, a 50% increase in range (330 miles) would not be expected, so the EPA rating of 310 miles is expected. Tesla was originally claiming 334 miles…wrong!) I’m sure GM will be coming out with a longer range battery option in the future. But for right now 238 miles range of the Bolt is enough for me. GM also needs to add heat pump heating instead of resistance heating, because that would increase the Bolt’s efficiency in cold weather. I don’t think you’ll see EV’s with large batteries using heat pumps as the norm. One it add complexity and most still require resistance heating to deal with really cold weather. Larger batteries allow for a smaller percentage to be used in heating the car. So a Bolt with resistance heating still has more range than a 40kWh Leaf with the heat off. The most important part is the inforstructor of the super charging systems. GM stated they will leave that to the third party’s. While Tesla’s super charging network is growing more every year. GM and the other automotive industry has to wait for the third party charging networks to catchup. No gm stated they would help build/work with charging station companies, to get more out here faster. Not just for tesla cars, witch does not help anybody. But Tesla’ are already to use. Let’s have a race and see which one can get from the west coast to the east faster. Tesla already won the Hell on wheels race. Tesla cars are these only one’s that can use these charging stations, that doesn’t help anybody. And he still hasn’t made any money on his car’s to date. What is wining? Eventually the cusumer. When the competition of EV performance and the EV trucks kicks in full gear will then generate the competition for EV charging. Also the growth of being able to create your own energy at home will create your own independence. Sandy Munro on Autoline.TV has done a tear down of the Tesla 3 and discovered a number of flaws like the front windows rattle when they’re rolled down and how there appears to be an extra piece of material on the driver door A-pillar to keep the window from shaking when rolled up (while missing on the passenger side); what’s surprising is that no one in the media talks about the Tesla 3’s poor build quality.